Cloudy weather will remain in Baku on January 23. Drizzle is predicted in some places towards the night. Fog will be observed in some places in the morning. North-west wind will be replaced by north-east wind in the daytime. 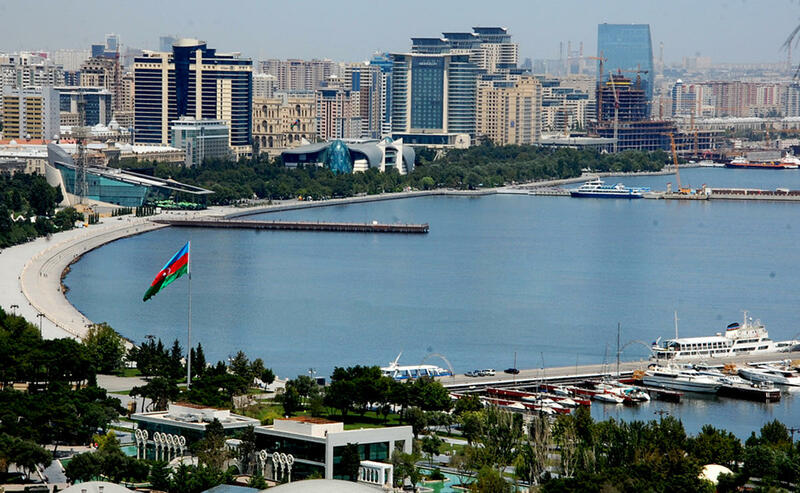 Temperature will be from +1 to +4 C at night and +6 to +9 C in the daytime in Absheron and from +2 to +4 C at night, and +7 to +9 C in the daytime in Baku. Air pressure will rise from 764 mm to 768 mm mercury column, the Ecology and Natural Resources Ministry reported. Relative humidity will be 65-75% at night, 50-60% at daytime. Rain is predicted in some eastern regions in the evening. Fog will be observed in some places. West wind is expected to strengthen in some places. Temperature will be from 3 degrees of frost to +2°C at night, from +7°C to +12°C in the daytime, in mountains 2-7 degrees at night, and from 0 degree to +5°C in the daytime.